Canadian whisky is making a return to its historic roots. On February 14th, 2018, New Orleans-based Sazerac Company announced it was distilling in the historic Montreal neighborhood of Old Montreal—the very cradle of Canadian whisky. It was in Montreal that early Canadian distillers began making spirit from grain, rather than the then-dominant molasses. And now, with the opening of Old Montreal Distillery, whisky spirit is flowing in the city once again. The distillery was established in the 1920s as Meagher Distillery, producing liqueurs and later genever. After several decades under the majority ownership of Dutch spirits firm DeKuyper, for the past 20 years or so, the distillery has been used by Sazerac for blending and bottling its Canadian whisky brands such as Caribou Crossing, Silk Tassel, and High River. In 2011, Sazerac bought the plant outright. They have not yet decided whether a pot and column still from the DeKuyper years will be brought back into service. 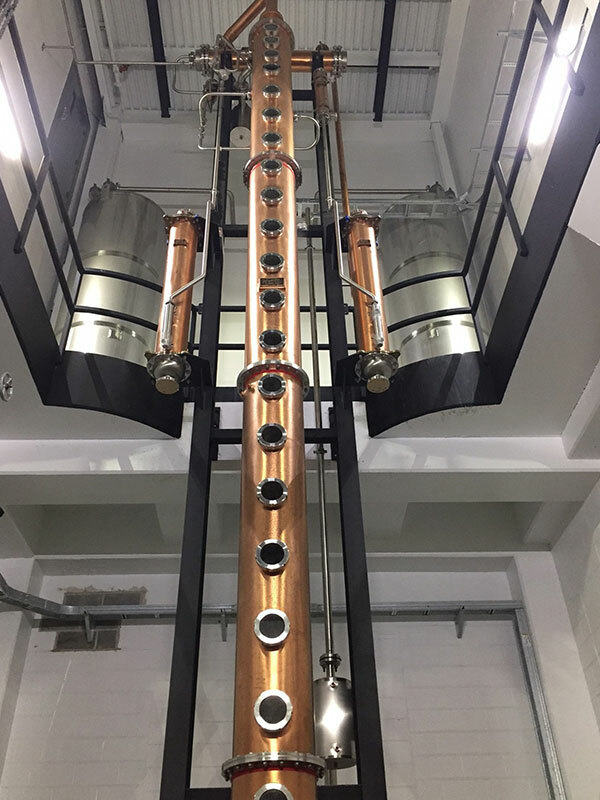 However, with the recent addition of a 37-foot Vendome column still, milling equipment, and a 4000-gallon mash cooker, Sazerac aims to make up to 18 barrels a day of double-distilled flavoring whiskies. 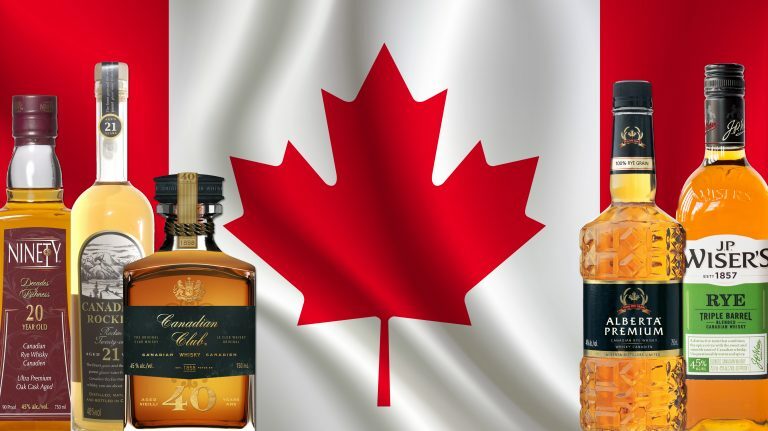 (In Canada, most whiskies are made by blending mild-tasting base whisky and more robust and rich flavoring whisky.) 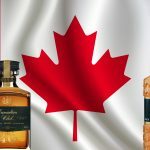 The company already owns half a million barrels of maturing whisky made at various Canadian distilleries, according to Drew Mayville, master blender at Old Montreal distillery. Mayville acquired his considerable skill during a 22-year stint at Seagram’s, just up the river in LaSalle. 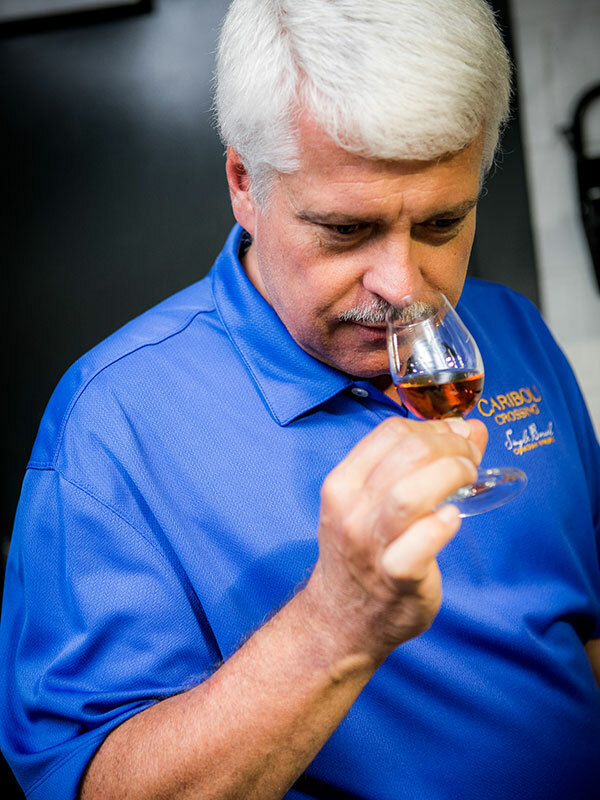 Drew Mayville, master blender at Old Montreal distillery, samples some whisky. Unusual for Canadian whisky, Old Montreal is using American-style mashbills in addition to distilling single grain base and flavoring whiskies for blending. “Each mashbill that we are producing is essentially an experiment,” Mayville explains. 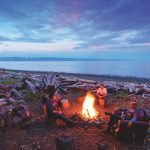 “The intent is to develop unique, richer, bolder, more complex, and ultimately delicious Canadian whiskies.” For now, Old Montreal’s output will go into new brands, with existing brands continuing to come from sourced stock. 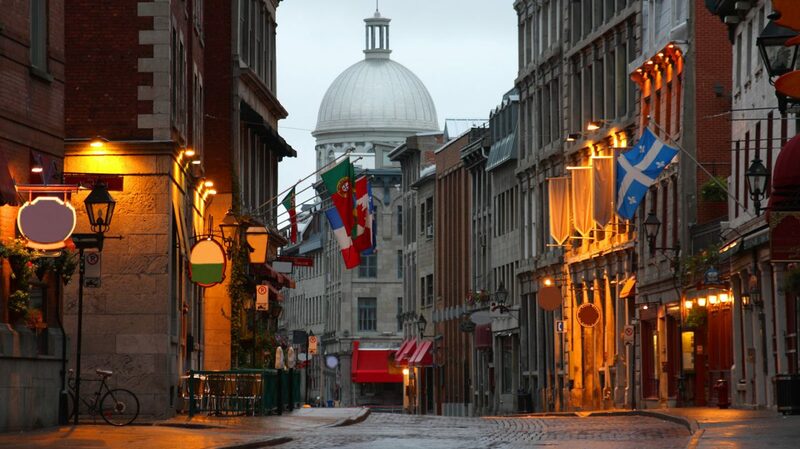 Established as a French settlement in 1642, Old Montreal was at that time called Ville Marie. Back then, drinkers cared not a whit for age statements, mashbills, or romantic backstories: they wanted alcohol. Caribbean molasses was inexpensive, so further east where ocean-going ships plied the Saint Lawrence River, distillers made rum. However, the Lachine Rapids blocked the river-borne molasses trade from coming further inland, and thus from Ville Marie west, distillers mashed grain. And so Canadian whisky was born. Solid records of whisky making in Montreal go back to 1786, and tantalizing historical tidbits suggest large distilling enterprises were making whisky there for maybe half a century before that. It is fitting, then, that when large-scale whisky making returned to the heart of modern Montreal, it did so right at the head of the Rapids. In 1832, the Lachine Rapids became the Lachine Canal, a network of navigable cement channels now dotted with derelict grain elevators, an abandoned malting, a flourmill, and a starch plant. When Old Montreal Distillery opens for tours later this year, visitors will pass all of these sites if they walk from the quaint old city to the distillery. The paths are paved, but wear boots—it can get muddy—and bring a map so you don’t walk half a mile along a channel only to realize you should have crossed at the locks. While it’s exciting to see whisky making in the heart of the city, Montreal is not unique as an urban distilling center. From the beginning, Canada’s commercial distillers gravitated to populated areas. Although hundreds of rural settlers distilled whatever they could lay their hands on, whisky making as an industry was established by a few dozen wealthy entrepreneurs who immigrated to Canada, usually from overseas, specifically to exploit milling and brewing opportunities in a new land. Road transportation was difficult, so grain and whisky were largely transported by boat. Cities tended to grow up around the harbors, and with them came industrial distilleries. The column still at the Old Montreal distillery. Today, a new generation of entrepreneurs is reviving that pioneer distilling spirit, though their goals, at least initially, are more modest. Many trace their origins to the current trend to eat and drink local. Some of these new distilleries are situated in agricultural areas, but most are urban. For example, Still Waters, Ontario’s first microdistiller, began production in Canada’s largest city, Toronto, in 2009. The greater Toronto area is now home to half a dozen thriving start-up distilleries, including Mill Street and Spirit of York right downtown on the site of the old Gooderham & Worts distillery. That’s where two prosperous Englishmen began distilling in 1832, when Toronto was still known as Muddy York. 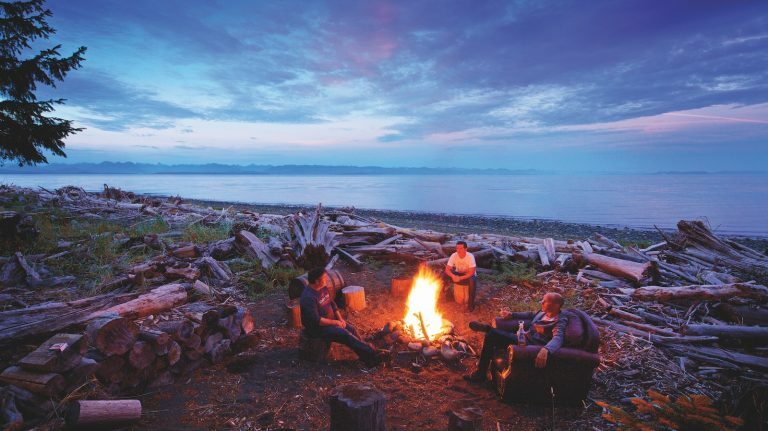 It is Vancouver and its environs, though, that have really become Canada’s distilling hotbed. 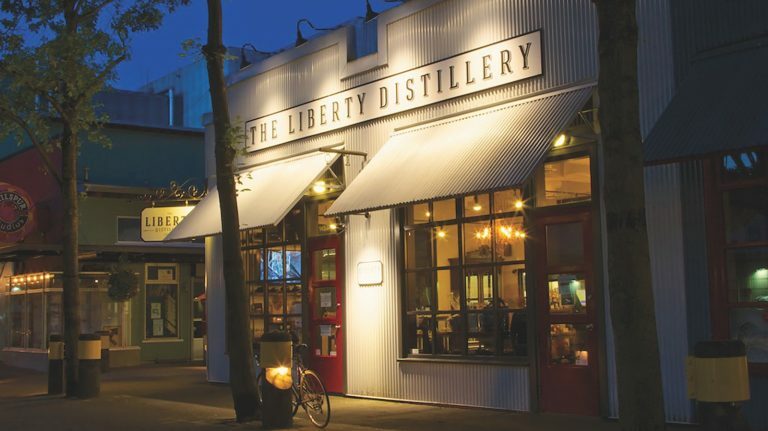 Nearly a dozen new distilleries are making whisky there, with a dozen more producing other unaged and ready-to-sell spirits. Although it is still a little soon in the game to assess quality, early releases from Odd Society Spirits show promise, as do several of the Lohin McKinnon whiskies, made by Central City Brewers & Distillers. Back where it all started—in Montreal—new distilling footsteps are heard as well. In 2014, Paul Cirka launched Cirka Distillery, making vodkas and gins, and recently, he has begun putting rye spirit in barrels, giving urban Montreal its second new whisky distillery. “After visiting some great craft whiskey operations in the U.S., all of which are located in urban centres, I decided to start [distilling] closer to the large consumer base of Montreal,” says Cirka. He is enthusiastic about Sazerac’s new venture in the city. “If nothing else it shows interest in the sector from foreign investors, which can only elevate our position with the provincial government,” he remarks. 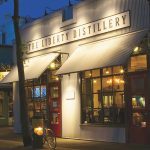 And although the beer from a single 4,000-gallon mash in Old Montreal Distillery likely produces more spirit than Cirka will in a year, it bodes well that a 40-year veteran like Drew Mayville and a 4-year newcomer like Paul Cirka both have faith in distilling in the heart of Montreal, Canada’s first whisky city.